Prometheus was a Titan who stole fire from Olympus and gave it to humankind, for which Zeus punished him horribly; son of Iapetus; brother of Atlas and Epimetheus. "Prometheus" is Greek for "foresight". Discovered by S. Collins and others in 1980 from Voyager photos. Prometheus is the inner shepherd satellite of the F ring. 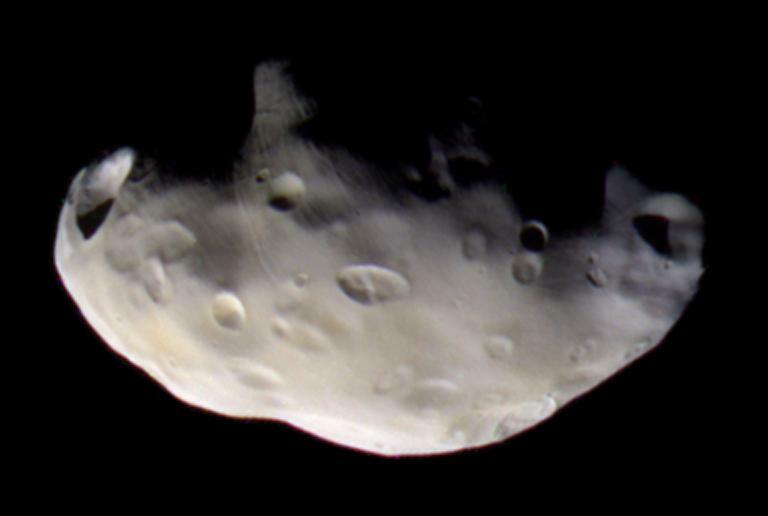 Prometheus has a number of ridges and valleys and several craters about 20 km in diameter but appears to be less cratered than the neighboring moons Pandora, Janus and Epimetheus. 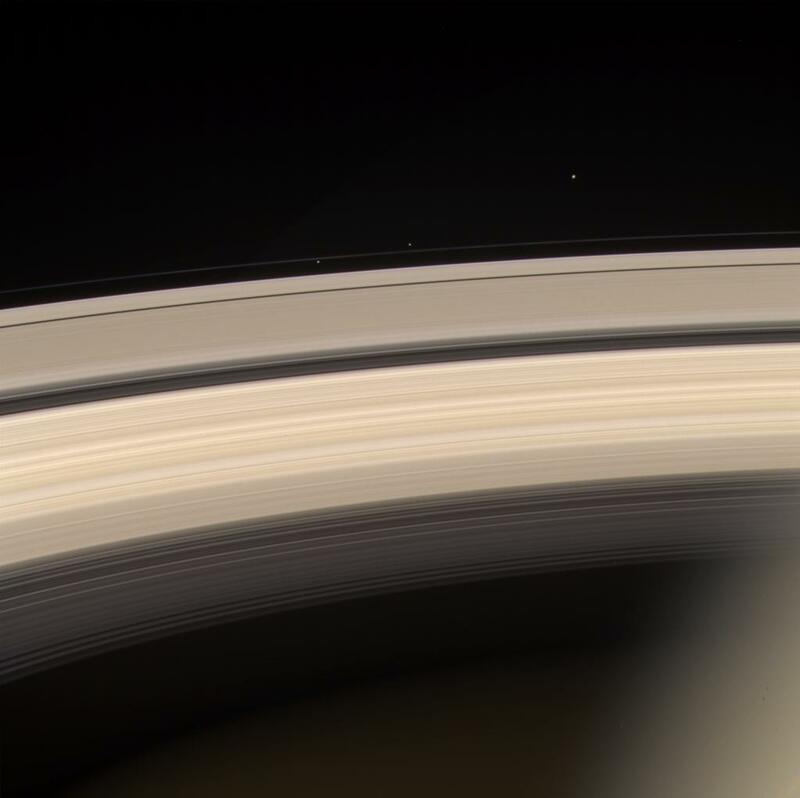 The 1995/6 Saturn Ring Plane Crossing observations found that Prometheus was lagging by 20 degrees from where it should have been based on Voyager 1981 data. This is much more than can be explained by observational error. It is possible that Prometheus's orbit was changed by a recent encounter with the F ring, or it may have a small companion moon sharing its orbit. In Greek mythology Pandora was the first woman, bestowed upon humankind by Zeus as a punishment for Prometheus' theft of fire. Entrusted with a box containing all the ills that could plague people, she opened it out of curiosity and thereby released all the evils of human life; wife of Epimetheus. Discovered by Collins and others in 1980 from Voyager photos. Craters formed on this object by impacts appear to be covered by debris, a process that probably happens rapidly in a geologic sense. The grooves and small ridges on Pandora suggest that fractures affect the overlying smooth material. Little is known about Prometheus or Pandora.